Good Morning! Happy Spring! I am writing this post Thursday afternoon, so I won't be disappointed that there is probably snow out there or on it's way.....so Happy Spring! These cards will be entered into the Challenges at Simon Says Wednesday, Spring Pinterest Inspiration and Curtain Call, Jelly Bean. I thought it would be a good idea just to make all the same style Easter cards. (I have 4 made and needed 6 more) Next time remind me to make an easier card. These have a lot of elements. I cut the eggs out in heavy card stock using my Cameo, then cut out more eggs in pretty Designer Papers and glued them together. I ran some of them through my Cuttlebug using Swiss Dots and a Diamond and Dots Embossing Folders to add some texture. Each egg has the corresponding ink color sponged on their edges. Using Martha Stewart Fringe Scissors I made 'grass' in 2 different colors. Gina K Designs stamps used, the basket from Holiday Basket and the sentiment from Basket Blessings. Stampin' Up! Inks in Pink Pirouette, Daffodil Delight, Pool Party and Wild Wasabi. Basket image colored with Copic Markers. Spellbinders Classic Oval die. You are one creatively busy lady. These are perfect Easter cards, lots of work but well worth it. That embossing folder makes a perfect background. Great coloring on the baskets. Hope spring gets to you soon. Donna, these are absolutely adorable!!! They are going to love receiving them. What a great way to use that basket stamp. So creative!! Very cute! You are going to make someone very happy with these cute baskets filled with all of those brightly colored eggs. So sweet! I know you spent a lot of time and effort on these cards, but it is so worth it. They are very creative and so cute. Love all,of the detail,that you put into it. Note to me, be more like Donna! These are adorable and very creative! I can see why these are so time consuming - you did something special to every single element! It's your attention to detail that makes your cards so amazing!! Well done. They are gorgeous Donna! Great idea. I love all the pretty baskets filled with eggs on your cards. 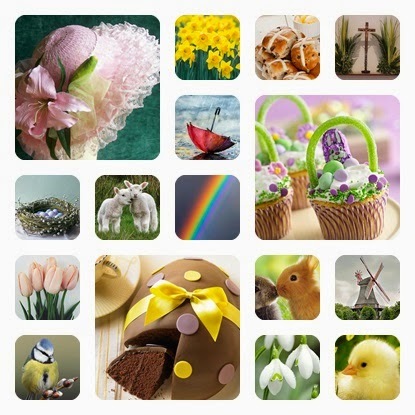 Love the design and so many people will be so pleased to see these pretty Easter cards. These are really neat, Donna! I might CASE you on this one! Oh these are really nice Donna....so very similar to what we did at my house yesterday with all of my friends....mine won't get posted till next weekend. Love yours though...the extra ribbon down the center is a great touch! Oh my gosh, I LOVE these. All that texture on the eggs and background. Plus your coloring on the basket is perfect. That's a lotta cards to make with so many elements - you are ambitious. These are just so sweet. Great job! Gorgeous cards Donna! The are adorable and I love the pretty colours you've used. Sweet Easter baskets. Thank you for sharing at the Curtain Call!